Emily's Nook Suite - a first floor three room suite that is tastely decorated. 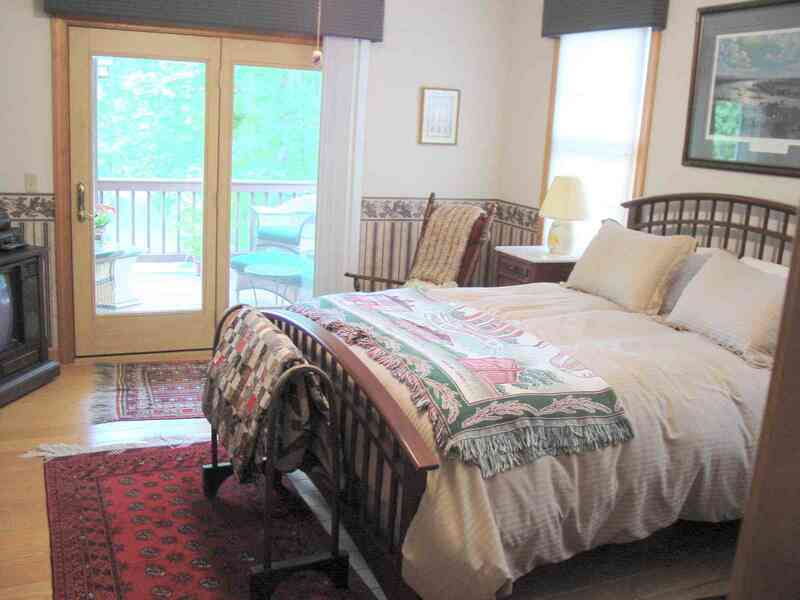 This suite has a private porch overlooking the lake, a private bath with an oversized shower, and a sitting area in the loom room with a bay window overlooking the lake. 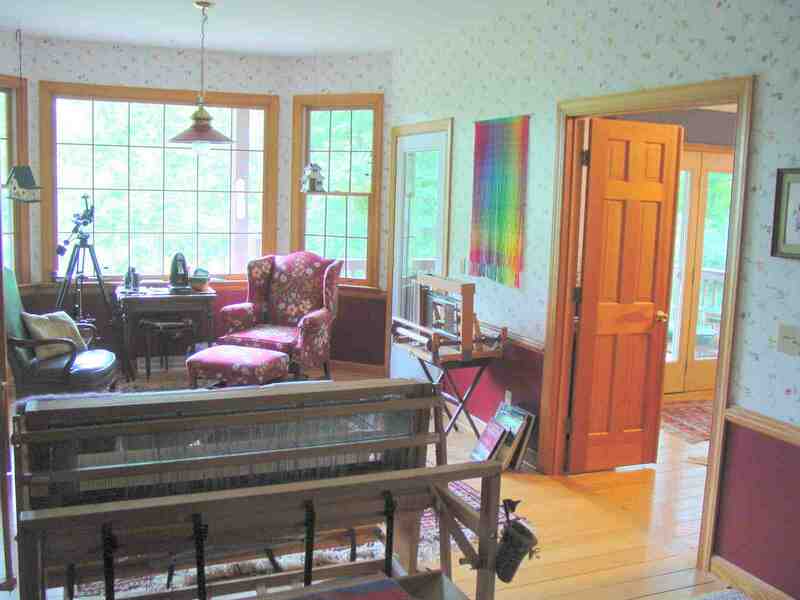 A haven for "Weavers and Quilters," and located next to the bedroom, this sitting room is filled with large comfortable chairs, looms, wool and weaving books, a telescope in the large bay window overlooking the lake, and items that create the perfect "get-away!" Whether reading a book, watching birds and wildlife through the telescope, or just sitting, the "Loom Room" is a favorite place of serenity and calm - the perfect place to forget about the problems of the world. if a person sits just right, he or she might even enjoy the company of one of the farms two cats. Emily's Nook Suite's bedroom has a queen size bed in a room with beautiful hardwood floors and is tastefully done with Oriental carpets, Civil War pictures and original Civil War documents. 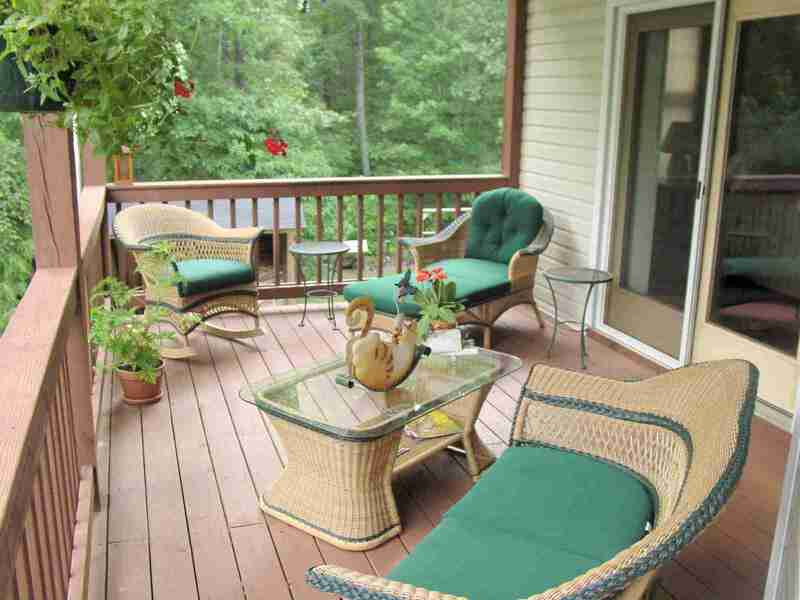 The private doors lead to a porch that overlooks the lake and gives breath-taking views of sunrises and wildlife. All guests enjoy a truly informal country atmosphere with kitchen privileges for snacks, ice and drinks. The rate for Emily's Nook Suite is $ 110.00 per night plus the local 5.3% sales taxes. For special local college weekends , such as graduations, there is a two night minimum. There is a reduced rate for 3 or more mid-week days stays. Jonathan's Hide-away's is upstairs, secluded and very quiet. 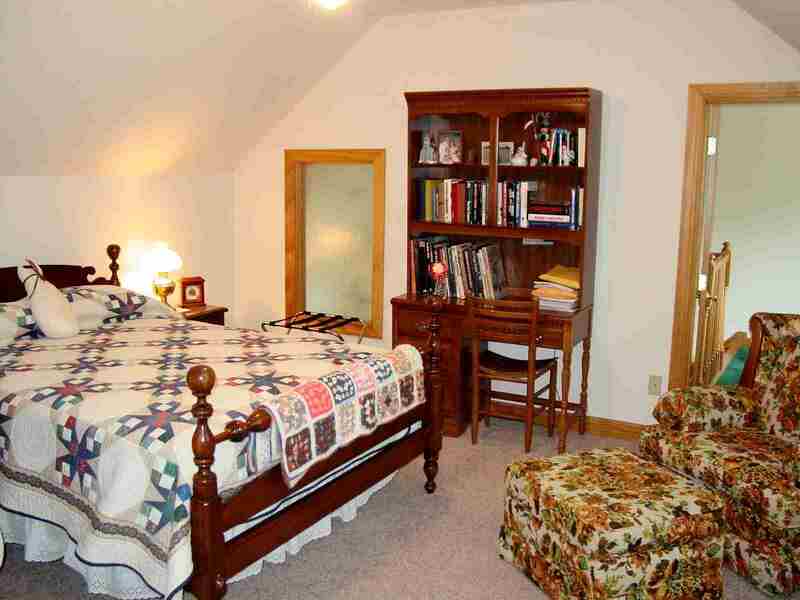 This tastefully decorated and comfortable room is reached by stairs just inside the main B&B entrance - privacity without going through other areas of the B&B. As Emily's Suite, guests enjoy full kitchen privileges for snacks, ice and drinks. This room has its own library of books. There is a private bath located next to the bedroom. The rate for Jonathan's Hideaway is $ 89.00 per night plus the local 5.3% sales taxes. For special local college weekends , such as graduations, there is a two night minimum. There is a reduced rate for 3 or more mid-week days/nights stays.